The aim of this project was to develop and pilot a method to obtain accurate mapping of culverted watercourses in Scotland. The aim of this project was to assist in producing a Detailed River Network as required by the Flood Risk Management (Scotland) Act 2009. Funding was provided by CREW (Scotland’s Centre of Expertise for Waters) and it ran from October 2012-May 2013. To develop and pilot a method to obtain accurate mapping of culverted watercourses in Scotland. The approach developed to compile harmonised culvert data sets by local authority area is in five steps. 1. 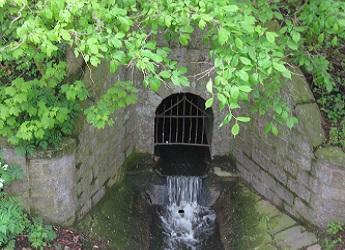 Data on culverted watercourses have been sought from each local authority. 2. Data received were processed into a GIS layer, depending upon the format received (for example, lines, points, map or spreadsheet based). 3. Comparisons have been undertaken between the data from Ordnance Survey (OS), Scottish Water and local authorities to identify differences between the locations on individual culverts. The outputs of this method are a base map, along with a number of larger scale section maps to show greater detail of any differences between the local authority and Scottish Water datasets for each local authority area, and an associated spreadsheet containing a log of the differences, feature identifiers, and comments on a proposed agreed data feature. 4. These outputs will be used to pilot the method in a workshop held with Glasgow City Council and Scottish Water representatives. Workshop participants will discuss the comparisons made and the differences identified, and propose feature(s) for inclusion in the dataset being developed for the next OS release. This dataset will be harmonised, that is, to ensure that no ambiguities remain about the location of each watercourse. Participants will also be provided with a feedback sheet for recording opinions on the aim and approach of the project. After piloting, the method can be reviewed for roll out to all local authorities in Scotland. 5. Outputs from the workshops and feedback from data provided will be used by Ordnance Survey to improve the OS MasterMap Networks – Water Layer. Data have been provided for 25 of the 32 Scottish local authorities to date. However only 20 of the datasets have been provided as linear features or in a format which can be used to create linear features which can be connected into the Ordnance Survey (OS) water feature network. Of the remaining 12, five have been asked to provide data in a more usable format if possible; seven have replied to say they do not hold data for the area, (which is possible given more rural areas), or cannot supply suitable data at this time. Efforts to use automation methods were not completely successful, therefore manual comparisons were used to complete the Glasgow City Council area analysis. The advantage of this method is that it has identified artefacts in the OS data that likely occurred while processing, for example, lines snapping to non-water features. Although as yet only data for Glasgow has been analysed, a preliminary review of the other Scottish Local Authority data received, indicates the method developed for identifying differences across organisational data can be extended to other areas. This CREW call down response has led to a capacity building project being funded by CREW 2013-2014.